Folsom is a city in Sacramento County, California with a population of 73,384 on 21.945 square miles of land. It is a part of the Sacramento−Arden-Arcade−Roseville Metropolitan Statistical Area. It's history began with the gold rush in the mid-1800s. 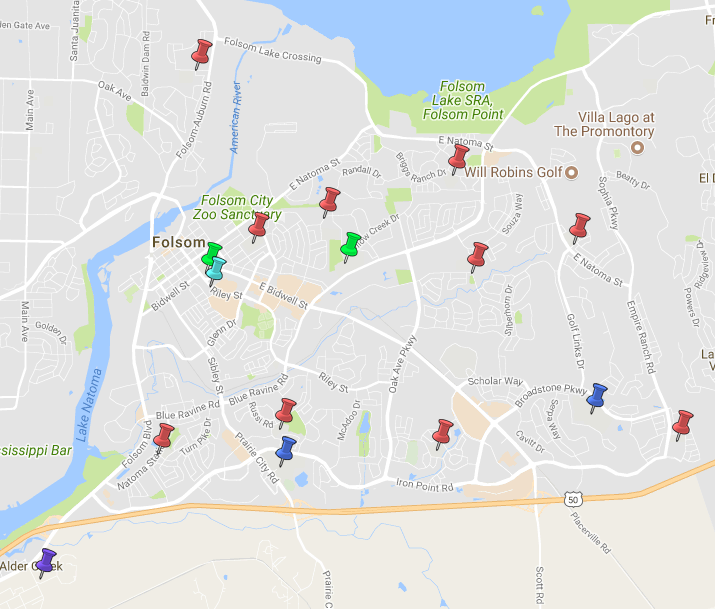 Life in Folsom does not have a suburban feel even though it is considered a suburbof Sacramento. With many opportunities for dining and shopping as well as cultural activities like the ballet and symphony it feels like a sophisticated city. It has beautiful new family-friendly neighborhoods as well as a well preserved historic district. There are many parks and trails for residents to enjoy the beautiful California weather.